When you meet Jim, you’ll want to get fit and think to yourself, “ I want some of what he’s got”, I promise. 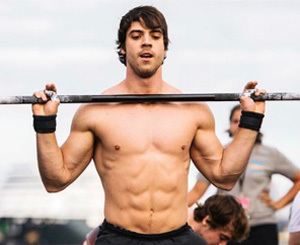 All the people in the CrossFit community have come to value his hard work and much appreciate the availability of this website. If you would like to find out more about CrossFit, try it out for yourself or simply get to know Jim, please fill in the form below. Jim receives hundreds of inquiries each week and he and his team are always eager to connect with more people and further strengthen the CrossFit community. Jim doesn’t only want to reach out to the people connected to his local gym, but to people all over the US and beyond. CrossFit has changed the lives of so many. Not only have people got super fit, but they have also made lots of friends. Much like in a family setting, the members of the CrossFit community support each other’s efforts, continually offering encouragement and mutually raising each other’s motivation. High-Intensity Training Skyrockets Your Fitness: Greg Glassman, the founder and creator of CrossFit has discovered a way to achieve optimum fitness within the shortest period of time. Short blasts of intense workouts are combined in a sequence. By altering the activities and maximizing the intensity applied in each discipline, your body gets the best possible workout and you don’t even have to invest a lot of time. When you contact Jim, he will inform you about all aspects of CrossFit and may get you started, if you’d like to have a try. Encouragement and Support: The philosophy of CrossFit features a strong belief in mutual support and encouragement. Participants motivate each other and mutually optimize each other’s performance. The various activities come in all shapes and forms, particularly the routines that take place outside the gymnasium. Often, participants create their own intensity training activities. When you contact Jim, he will motivate, encourage and support you, even if you are totally unfit. The aim is to get you to your best performance and optimum health. Join the CrossFit Community: The entire CrossFit community wants you to join and when you contact Jim, he will tell you what you need to do next. If your motivation has fallen through the floor and you consider yourself an eternal couch potato, don’t worry. A few shorts spurts of Crossfit intensity training will make you want more: more health, more fitness, and a better quality of life. Do contact Jim, even if you are not quite sure why or have doubts about the suitability and effectiveness of Crossfit training. By filling in the form below, you may just be taking the first and most important step toward optimum health and fitness. Jim won’t leave you hanging, usually, people receive a reply within a short few days. Those living in the vicinity may also inquire at Jim’s gymnasium. By contacting Jim, you join the CrossFit community and Jim may also put you in touch with other members for additional support. The CrossFit community is full of fitness experts, all of whom would only relish the opportunity to meet, guide and support you, and when you do, your life will forever improve.